Through the first quarter of 2019, global equities largely clawed back the losses suffered over the final weeks of 2018. How much longer this ten-year bull market can sustain itself is the subject of much debate. US interest rate rises have stalled, reflecting growing cautiousness. 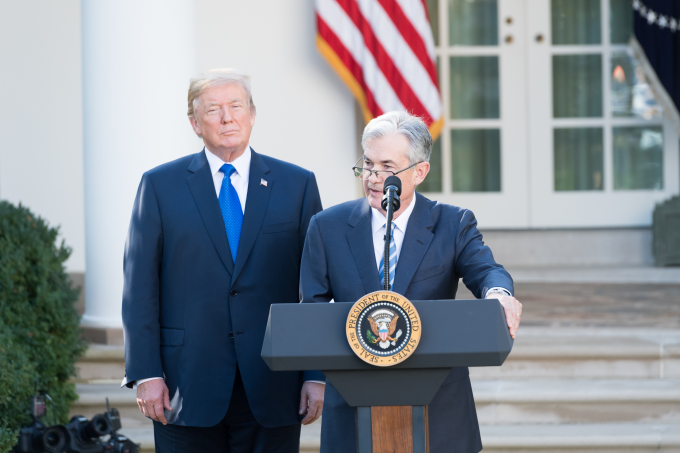 Elsewhere, many of the headwinds that ruffled markets late last year, including the US/China trade negotiations, continue to lurk in the background. The UK remains in gridlock, with no sign of a resolution to Brexit. Over the quarter, we published notes on Henderson Diversified Income, Premier Global Infrastructure, Geiger Counter, John Laing Environmental Assets, Aberdeen Standard European Logistics Income, Montanaro European Smaller Companies, International Biotechnology, Civitas Social Housing, Herald Investment Trust, Bluefield Solar Income, JPMorgan Russian Securities and BlackRock Throgmorton Trust. You can read all these notes by clicking on the links above or by visiting www.quoteddata.com. Performance Data – It was notable that China-focused funds had a good quarter while the rebound in technology benefitted Allianz Technology and Edinburgh Worldwide. Major news stories – Wellcome Trust opted to sell £141m worth of Syncona in a surprise move. Airbus’ decision to end production of A380 aircraft from 2021 hit several leasing companies, including the three Doric Nimrod funds and Amedeo Air Four. Money in and out – The $477m Schiehallion Fund IPO was the only new issue but Tritax Big Box raised £332m. Edinburgh Dragon returned £215.4m. More information about the funds mentioned in this report is available on our website. Discounts are higher than they were this time last year, reflecting mounting uncertainty. This may pause the longer-term trend towards a tightening of the median discount to NAV. The Global equity income sector attracted more interest over recent months, as money has moved away from riskier assets. The more growth focused Global sector has seen its discount widen slightly, a pace that could quicken if sentiment worsens over the coming quarter. More than three quarters of the investment trusts we looked at this quarter (market caps above £15m) delivered positive price returns over the first quarter. The median return from the 345 trusts was 5.6%. Reflecting the wider bounce in equity markets, growth-focused trusts performed particularly well while China-focused strategies figure prominently. Chinese equities had the best first quarter as the government ramped up spending and cut taxes, while the monetary environment became more accommodative. JPMorgan Chinese and Fidelity China Speciality benefitted. Leaf Clean Energy’s price surge comes as the market seems increasingly confident of a positive ruling by the Delaware Supreme Court in an appeal process involving the redemption of its stake in a US wind company. Bill Ackman’s Pershing Square had its best ever start to a year, with its Chipotle holding performing particularly well. A modest appreciation in sterling relative to the US dollar did not take away too much from rebound in the technology sector, which benefitted Allianz Technology and Edinburgh Worldwide. The Brazilian government made positive comments about infrastructure spending. This was good news for Premier Global Infrastructure, which also benefited from a wider recovery in emerging markets. Healthcare stocks have been more buoyant following a few takeovers in the sector, benefitting funds such as BB Healthcare. Aviation leasing firms, particularly ones carrying Airbus A380 aircraft, were amongst the worst performers, after Airbus decided to cease production of A380s from 2021. Elsewhere, there were no discernible major sectoral or geographical trends, in what was a strong quarter for markets. Those funds that own and lease A380s to Emirates – the three Doric Nimrod funds and Amedeo Air Four – all saw sharp falls in their share prices. RDL Realisation’s sell-off was heavily influenced by the news it will have to write down nearly half of its investment in the Princeton Alternative Income Fund. Better Capital 2012 warned on the valuations of two of its of holdings in 2018, causing the share price to fall further in Q1, though they have pushed up sharply since the quarter-end. Midstream-focused Riverstone Energy’s discount to NAV widened; declines in the price of oil going into 2019 and company-specific factors relating to the write-downs in two holdings, Hammerhead and Centennial, drove the trust’s declines. Reflecting the fact that company-specific factors largely drove underperformance this quarter, Ground Rent’s share price fell following the loss of a court hearing, rendering them at fault for a failure of a structural sealant at Beetham Tower in Manchester. Ashmore Global Opportunity is in the process of a managed wind-down; its shares held up as its NAV led declines for the quarter. Sanditon Investment Trust has underperformed over several years. While its low correlation strategy meant it was largely unaffected by the Q418 sell-off, it has not participated in the bull market. Marwyn Value Investors’ NAV fell as key holdings underperformed over the quarter. Just one new issue, The Schiehallion Fund, made it to the market in Q1. Otherwise we saw more money flow into existing funds. The Schiehallion Fund from Baillie Gifford makes pre-IPO investments in growth companies. Tritax Big Box issued shares in February, £250m was raised from investors in an oversubscribed and dilutive issue and 40.5m shares were also issued to satisfy its purchase of db Symmetry. Small and mid-cap focused Smithson Investment had another busy quarter of fundraising, following its incorporation in 2018. It was a similar story for Finsbury Growth & Income. 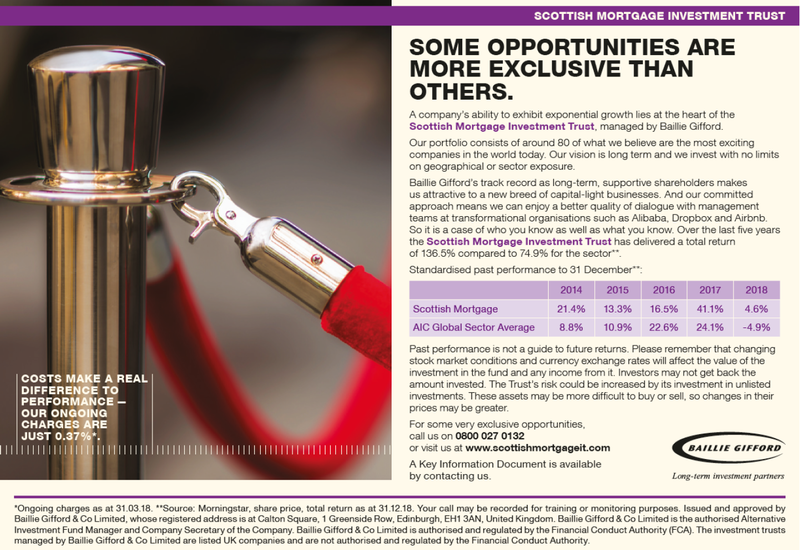 Scottish Mortgage had a busy quarter of issuing stock to meet demand from investors. Tufton Oceanic raised US$50m to capitalise on the investment manager’s finding of a pipeline of second-hand vessels. Supermarket Income raised £45m in an oversubscribed issue with the proceeds expected to fund the purchase of two new supermarkets. Edinburgh Dragon was the biggest returner of money after it held a tender offer for 30% of its issued shares. 60.5% of its shares were tendered and so the tender was taken up in full. Carador Income was an active repurchase of shares through the quarter while NB Global returned £72.4m to shareholders on its sterling line. JPEL Private Equity made its fifth mandatory share redemption over the quarter, returning £15.7m. The near wipeout in Leaf Clean Energy’s discount reflects growing confidence the Delaware Supreme Court will rule in its favour in an appeals case. Lindsell Train trades at a very high and volatile premium most of the time. 3i Infrastructure continued to rally following strong results and successful exits. Primary Health Properties saw its premium rise as the market continued to react positively to its merger with MedicX. Elsewhere, Regional REIT refinanced its zero dividend preference shares and announced a number of new lettings. Marble Point Loan Financing saw its premium wiped out as investors worried about highly leveraged debt investments. Amedeo Air Four Plus, along with the three Doric Nimrod funds, lost value and became cheaper relative to NAV after Airbus announced its discontinuation of production A380 aircraft. The ongoing de-rating in RDL Realisation’s value relative to its NAV follows the news it will have to write down nearly half of its investment in the Princeton Alternative Income Fund. Riverstone Energy’s discount widened as it wrote down two investments. The market sold Ground Rent after it lost a court hearing relating to a tower in Manchester. NB: this note has been prepared by Marten & Co and is for information purposes only. It is not intended to encourage the reader to deal in the security or securities mentioned in this report. Please read the important information at the back of this note. QuotedData is a trading name of Marten & Co Limited which is authorised and regulated by the FCA. Marten & Co is not permitted to provide investment advice to individual investors. This note was prepared by Marten & Co (which is authorised and regulated by the Financial Conduct Authority). This note is for information purposes only and is not intended to encourage the reader to deal in the security or securities mentioned within it. Marten & Co is not authorised to give advice to retail clients. The research does not have regard to the specific investment objectives, financial situation and needs of any specific person who may receive it. Governing Law & Jurisdiction: These terms and conditions and all matters connected with them, are governed by the laws of England and Wales and shall be subject to the exclusive jurisdiction of the English courts. If you access this note from outside the UK, you are responsible for ensuring compliance with any local laws relating to access.